Time to pick up those last-minute gifts! I lost track of how many candles I own but it's still a gift I love getting and giving, especially when you come across an amazing fragrance. 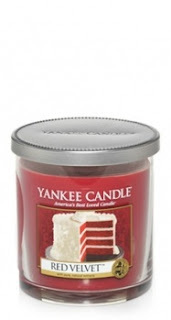 My favorite this season is Yankee Candle Red Velvet. Red velvet happens to be my favorite dessert flavor and this smells like the real thing - a delicious, sweet mix of brown sugar, red velvet cake and creamy frosting. 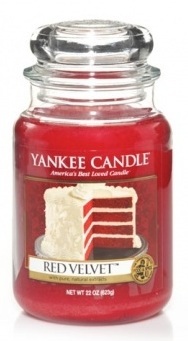 Red Velvet comes in different candle sizes from the large jar ($27.99) to the tumbler ($15.99) and small ($10.99). 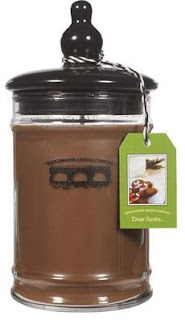 Bridgewater Candle Company holiday scents include Mistletoe Wishes, Snow Day and my favorite of the three - Dear Santa, which smells like freshly baked gingerbread cookies. These festive scents make a great gift as a large candle ($20), petite reed diffuser ($18) or candle tin as a stocking stuffer ($10). 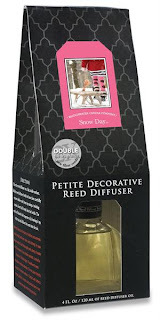 Purchasing a Bridgewater Jar Candle also helps a great cause, as Bridgewater Candle Company will make a donation to Rice Bowls to feed one orphaned child for a day.